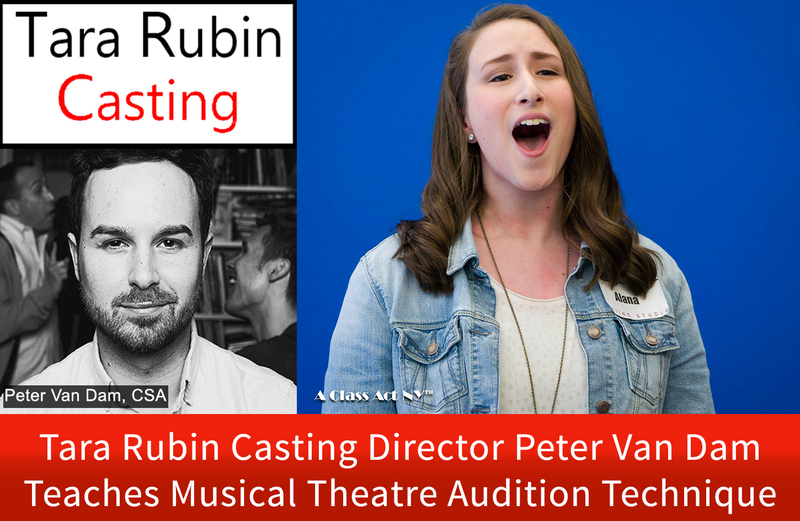 Work one-on-one with Peter Van Dam, Casting Director at Tara Rubin Casting, the casting office behind Broadway hits such as DEAR EVAN HANSEN, THE BAND’S VISIT, ALADDIN, SCHOOL OF ROCK, PHANTOM, SUMMER, and this season’s highly anticipated KING KONG! Tara Rubin Casting is also responsible for casting national tours of DEAR EVAN HANSEN, A BRONX TALE, FALSETTOS, SMOKEY JOE’s CAFÉ, MISS SAIGON, LES MIS, JERSEY BOYS, ALADDIN, and PHANTOM, just to name a few! Peter Van Dam began his casting career at Carnahan Casting / Roundabout Theatre Company, where some of his Broadway credits include TOOTSIE, HEAD OVER HEELS, and ANGELS IN AMERICA, as well as THE BEAST IN THE JUNGLE (Vineyard Theatre), CHESS (The Kennedy Center), WONDERFUL TOWN (LA Opera), and NICE FISH (A.R.T./St. Ann’s Warehouse/West End). Peter’s class will be run like a professional Broadway audition. Sing for top Casting Director, Peter Van Dam and get his expert coaching and feedback on your audition cut! In addition to singing and getting feedback on your 32-bar cut, Peter will also offer his opinion on whether or not your song choice showcases your unique talent! Time: 1 p.m. – 4:30 p.m.